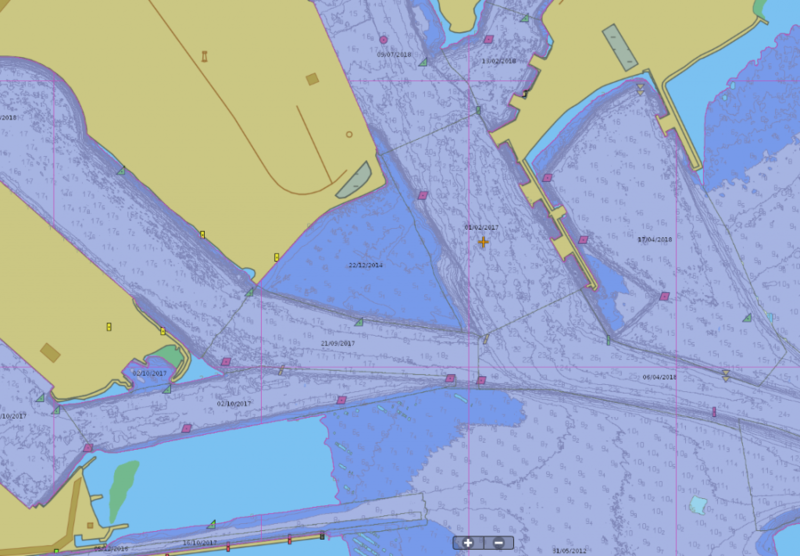 The Professional Union of Drivers of the Ports of Marseille and the Gulf of Fos acquires our AUTO ULHYSSES software to produce and updating automatically their own bathymetric charts. Few words about AUTO ULHYSSES? AUTO ULHYSSES updates automatically ENC bathymetric coverage as new surveys are sent. AUTO ULHYSSES archives the survey history, allowing it to regenerate all the bathymetric coverage by respecting the survey timeline, which is particularly interesting if you want to modify parameters or benefit from the changes made by a new version of the software. AUTO ULHYSSES generates an ENC containing the polygons created by trimming the probes used for each survey. Displayed with the date of the survey, it allows to know the date of the most recent bathymetry in all points of the domain. The bENC made by AUTO ULHYSSES are directly usable by the PPU, allowing pilots to have the most up-to-date bathymetry. AUTO ULHYSSES works as a server client and is piloted through a PortAll web page. PortAll is Geomod’s web solution responding to the needs of the Hydro services, the harbor master’s office, and also to the professional unions of port pilots or mooring services.